This is an easy access, mainly level, hard surface route that mainly follows the route of the Pymmes Brook where this is accessible, more so in the first half across north-east London from Barnet to Tottenham, through woodland, parks and open spaces and passing many places of cultural and historical interest. The Pymmes Brook is a tributary of the River Lea that it joins at Tottenham Hale. The route has been revised and extended by Colin Saunders in 2018 along with the release of a new guidebook to make a more logical and longer route that starts on Hadley Green, near the site of the Battle of Barnet, one of the most important engagements of the Wars of the Roses, then drops down through Monken Hadley Common to serene Jack’s Lake – one of London’s least known beauty spots. 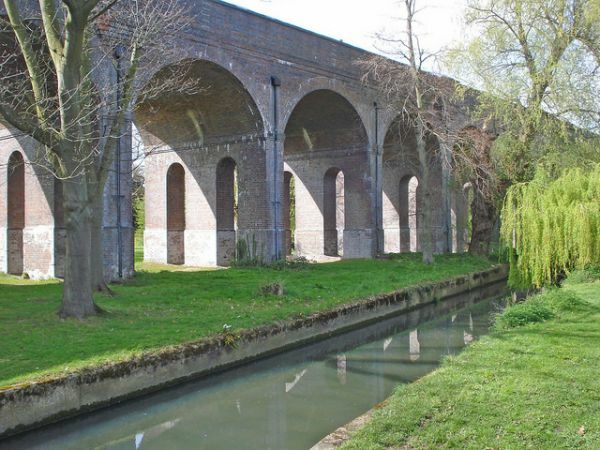 After East Barnet Village, the trail stays close to the brook as it flows through a succession of parks (Oak Hill, Brunswick and Arnos) and has a close encounter with one of London’s marvels of civil engineering – the Arnos Viaduct. Leaving the brook, the trail visits Broomfield Park and Palmers Green, then meets it again intermittently as it passes the New River and Millfield House into Pymmes Park in Edmonton. Finally, Tottenham Marshes lead to the brook’s confluence with the River Lea at Tottenham Hale. Some new brookside sections are used en route. OS mapping still shows the original route from Pymmes Park east to Pickett's Lock (see below) but the new routing is planned to be shown once local approvals have been given. Walks on the revised route to re-launch the route took place on the weekend of 27-28 October 2018. A previous leaflet for the original trail now superceded gives clear directions plus locations of underground and rail stations, bus stops, toilets, disabled toilets, car parks and refreshments. It gives alternative starts nearby in car parks linked by the London Loop and shown on the leaflet: the route starts where the London Loop meets Pymmes Brook. The leaflet marks the former finish at Lee Valley Leisure Centre (TQ358944) but by continuing a short distance to Pickett's Lock (TQ362937) the Lea Valley Walk can be joined.